Amazon is further expanding the reach of its Echo connected speaker by letting users control SmartThings devices by voice. SmartThings is a connected home platform that Samsung acquired last year. Its goal is to be an “open” platform that connects with any other smart home products, and is currently compatible with more than 1,000 products. With Echo, SmartThings says users can control compatible lights, switches, and anything plugged into a SmartThings Power Outlet. 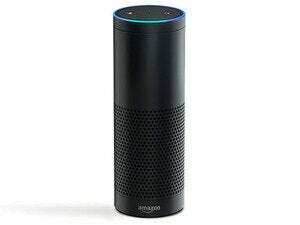 Much like Echo’s other voice controls, users simply say “Alexa” within earshot of the speaker, and then speak the desired action. SmartThings apparently announced the integration a bit prematurely, as the Samsung-owned company pulled its blog post after it was spotted by Zatz Not Funny. It may be that the connectivity isn’t quite ready yet, though SmartThings said in its post that Echo commands will work with both its current hub and a second-generation model that’s coming next month. In addition to the new SmartThings support, Amazon has also updated its Echo iOS and Android apps, changing the name to “Amazon Alexa.” This makes sense given that Echo is just one product, whereas Alexa is the name of the voice assistant that Amazon wants to bring to many other devices. Later this year, a set of Alexa developer tools will allow TVs, sound systems, alarm clocks, and possibly even automobiles to have the same voice control capabilities that Echo does today. Why this matters: Since launching Echo last year, Amazon has steadily added more smart home hooks to its cylindrical speaker. First came Philips Hue light bulbs and Belkin WeMo switches, then came a range of Wink-compatible lighting products, and more devices should follow with software development kit that’s available to all device makers. Essentially, Amazon is creating a voice control layer that lives on top of all other smart home platforms, and it’s gaining traction as more companies get on board.